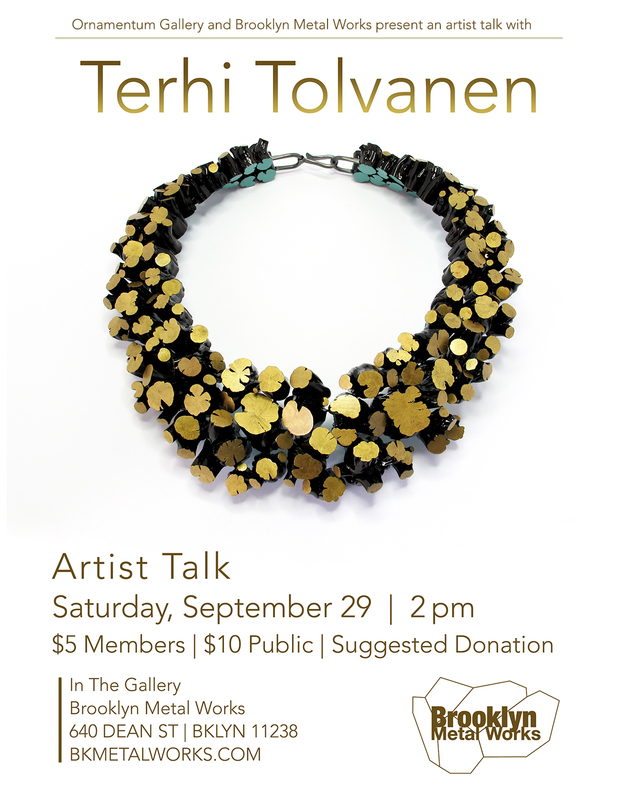 Please join us for a talk with visiting artist Tehri Tolvanen Saturday September 29 at 2pm in the Gallery at Brooklyn Metal Works. Known for her use of unusual materials in conjunction with refined technical abilities, Tolvanen’s work often explores the connection/conflict between humans and nature. These recreations of natural forms become jewelry that is familiar and foreign, recognizable landscapes that are wearable and intriguing. Tolvanen is traveling to NY in support of her exhibition opening at Ornamentum Gallery in Hudson, NY on Sept. 22. Originally from Finland, Tolvanen currently lives and works in France.